Vienna, the so called city of music, is not only the capital of Austria, but has always been the former centre of the Habsburg empires. The city has preserved itself a romantic touch with the horse waggons the “Fiaka”, the wonderful art museums, the lovely restaurants and coffee places and great plays in the opera or in one of the various theatres. 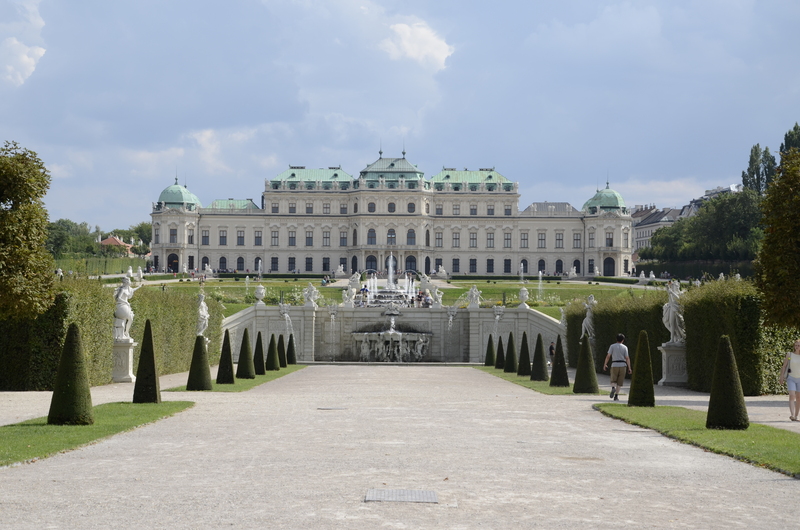 It is also well known for his famous personalities, who doesn’t remember “Sissi” empress Elizabeth and her husband Franz at least from the famous movie with Romy Schneider. In addition, many artists, especially composers including Beethoven, Haydn, Liszt, Mozart and Schubert have been born in Vienna and chosen it as their home. Its imperial past can be gazed at in the large historic city center and its surroundings, often compared to an open-air museum, filled with monuments inscribed on the UNESCO World Heritage List. Just visit one of the various museums, like the Albertina a museum with a great collection of impressionistic and expressionistic art pieces, the secession or the art historic museum, with international antiques and the old masters from the Netherlands, just the building itself is already impressive. The undeniable affection of the Viennese for coffee can also be observed in many corners of the city. Despite, invasions by Starbucks and Italian-style espresso bars, for the Viennese people the Kaffeehauskultur is still the only “proper” way to drink a cup of coffee and have a slice of delicious cake, read the newspaper and meet friends. The city itself is also well known for famous dishes such as types of Sausages, like the cheese stuffed Käsekrainer, Palatschinken, pancakes with several stuffings, Tafelspitz a very tender piece of veal and of course the Wiener Schnitzel and the famous Sacher Cake. Nevertheless, Vienna is also a dynamic young city, like in former decades well known for music, nowadays, famous for its electronic music scene with independent labels, many street performers and a lively Monday through Sunday club scene. Shopping is also possible as its best in Vienna, with a lot of local artists and boutiques. Just remember to keep enough money in your pocket as Vienna is slightly more expensive than other cities in Europe. The city consists of more than 2000 parks, which make up half of the metropolitan area. Already 280 of them are imperial parks and gardens. Nearby recreation areas of Prater, Vienna Woods and Lobau invite visitors to go on walks, day trips, hikes and bicycle tours. The mentioned Lobau, part of the Donau-Auen National Park, often referred as the Viennese “jungle” has been in existence for 15 years and preserves one of the last remaining large wetlands in Central Europe. Sustainability is highly valued by the city of Vienna and its inhabitants. The city has become one of the largest organic farmers in Austria. Over 860 hectares of organic growing land are cultivated on three city farms. If you’re looking for a healthy and sustainable lifestyle, a plethora of natural food, fair fashion and ecological body care shops provides you with everything you are looking for. Moreover, every Friday and Saturday there is an organic farmer market at Freyung. Not only food, but also the tap water is of high quality; within 36 hours, Viennese tap water flows directly from the near lower austrian alps without pumps and under strictest regulations to the Austrian capital. Additionally, to ensure the survival of our most important pollinators bees, around 600 beekeepers manage over 5000 bee colonies in the city on the Danube. All in all, the capital is a very sustainable and livable one and thus has been voted again as the world’s number one most livable city in 2015.